A medical membrane is a synthetically created membrane, which is usually use for separation purposes in healthcare industry or in laboratory. Medical membranes have been successfully used for large and small scale industrial processes since the middle of twentieth century. Increasing use of medical membrane in hemodialysis and pharmaceutical filtration are the major factors propelling the global medical membrane market growth. 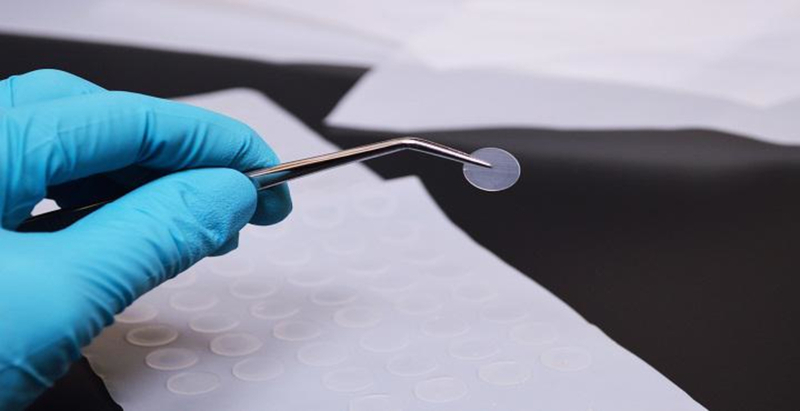 These membranes are widely used in various medical applications such as venting & gas filtration, pre-filtration, sterile filtration, infusion therapy, and sample preparation. The medical membrane provides superior flow and fast filtration rate in aqueous solution to filter out bacteria, fine particles, and fungi. Medical membrane market has witnessed unmatched growth over the last few decades due to wide applications in several industries such as healthcare, biotechnology, pharmaceutical, and others. Currently, medical membranes are commonly used in the healthcare industry to produce and maintain high quality products. They offer advantages such as high selectivity and permeability. Hemodialysis is one of the most vital use of semi-permeable membrane in the artificial treatment of blood. On the basis of region, the global medical membrane market is segmented into North America, Europe, Latin America, Asia Pacific, Middle East, and Africa. North America accounted for the largest market share in terms of revenue in the medical membrane market, owing to increasing awareness among the people, availability of better medical facilities, high adoption of the innovative products and increasing prevalence of chronic kidney disorder among the population. For instance, according to the National Institute of Diabetes and Digestive and Kidney Disease 2016 report, more than 661,000 Americans were suffering from kidney failure problems and out of these 468,000 individuals were on dialysis. Moreover, the National Institute of Diabetes and Digestive and Kidney Diseases (NIDDK), aims to reduce the mortality and morbidity linked with the kidney disease by introduction of the initiative National Kidney Disease Education Program. Asia Pacific region is expected to witness significant growth, owing to presence of large population prone to various chronic and infectious diseases. Therefore, introduction of innovative techniques are expected to provide better solutions to the patient at the low costs. Medical membrane market is growing at significant rate in the Asia Pacific region, owing to increasing manufacturing facilities to meet increasing demand from end users. For instance, Medtronic opened its new manufacturing facility in China in 2014, in which the company will be focusing most of its hemodialysis system products manufacturing.